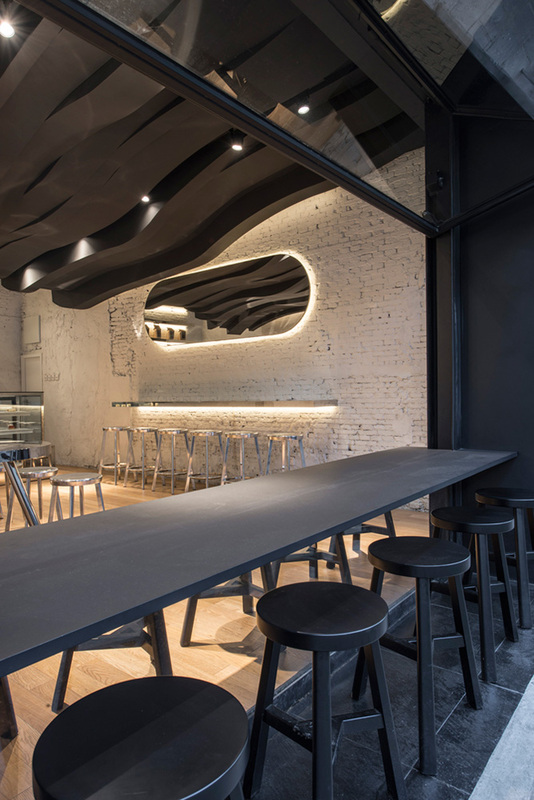 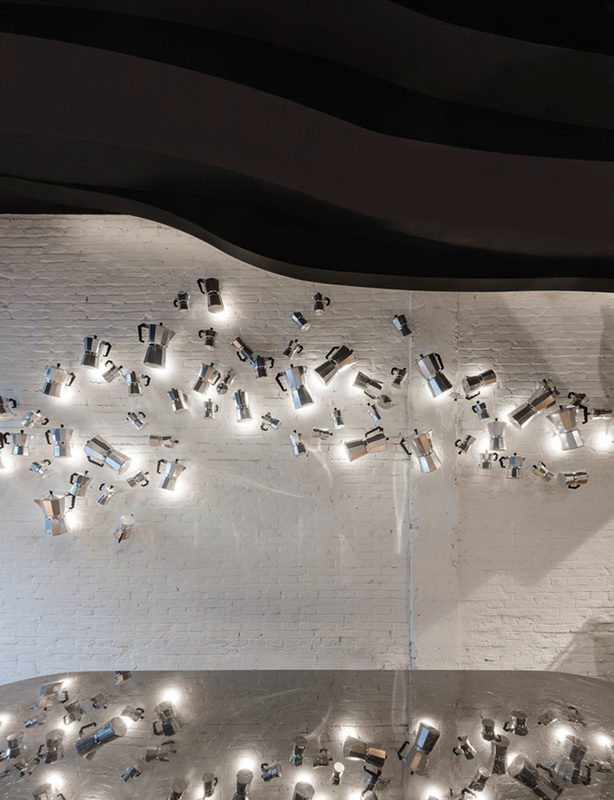 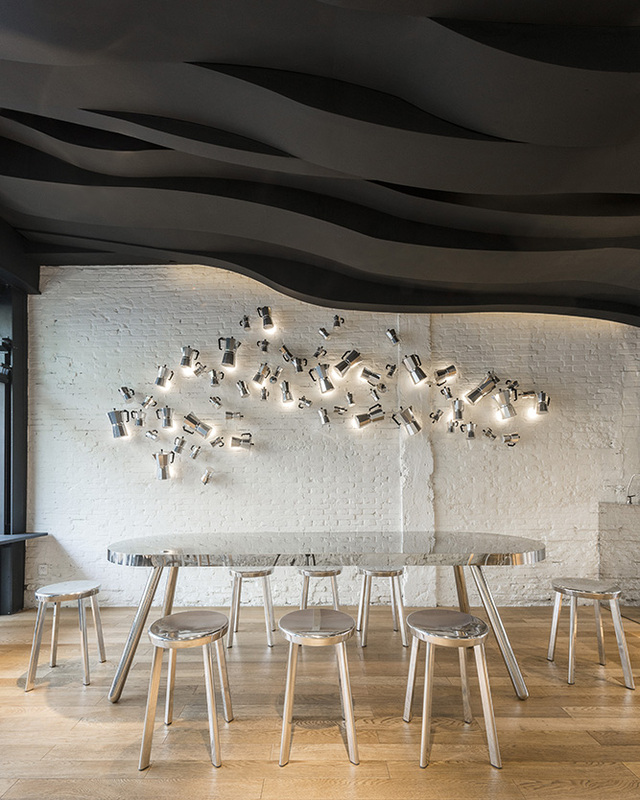 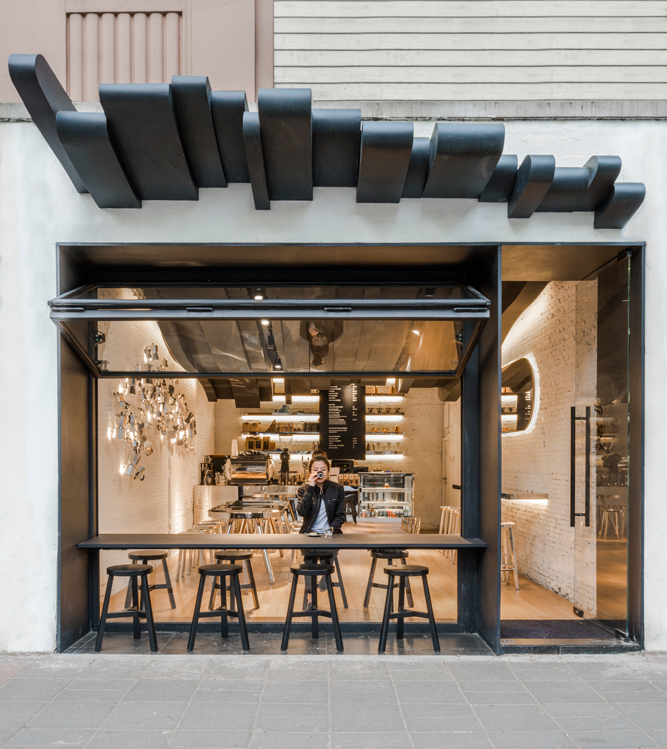 Celebrating coffee’s intangible pleasures, Alberto Caiola translates coffee’s aromatic vapors into a sculptural ceiling that is the centrepiece for this café in Shanghai. 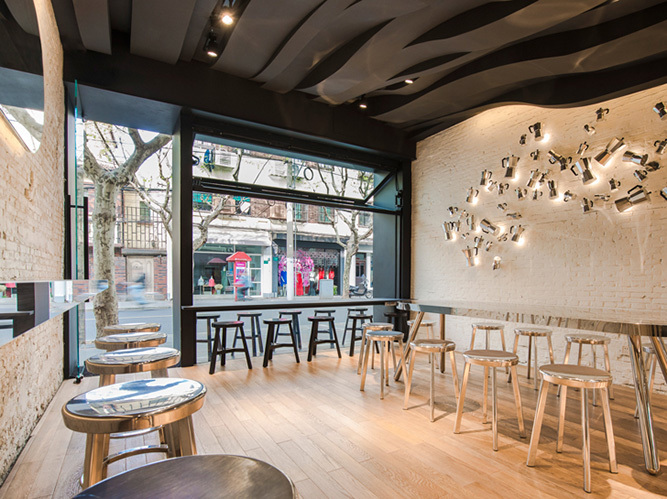 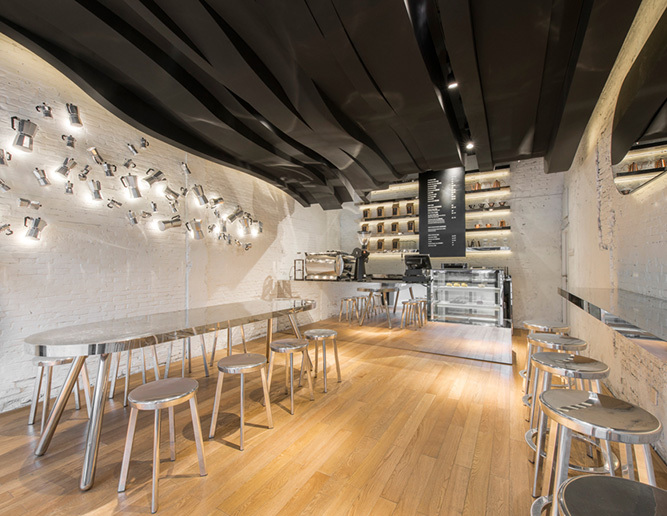 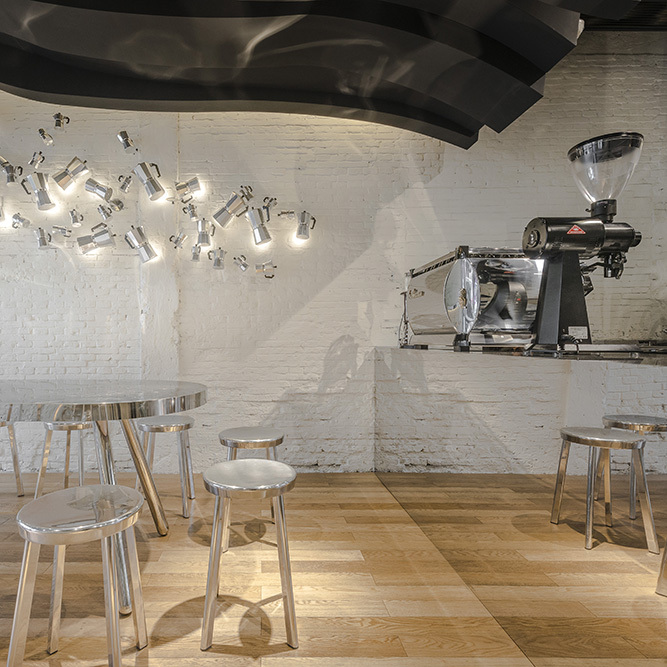 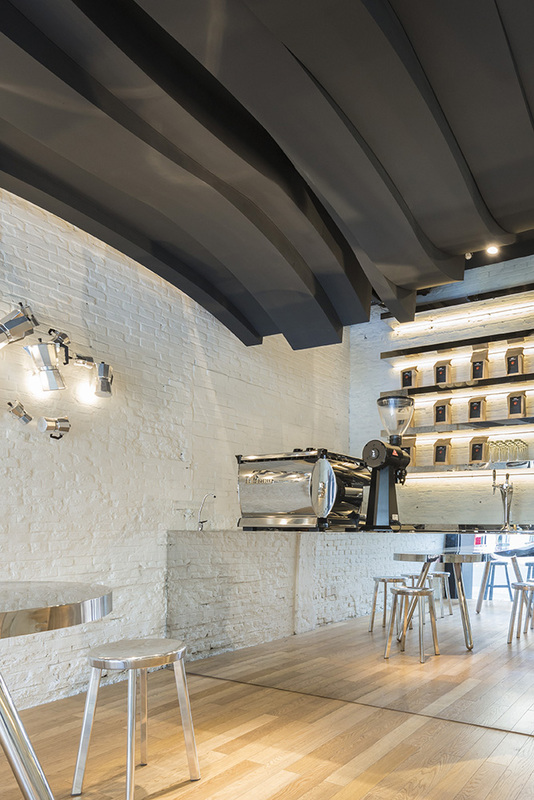 Gently sloping away from the counter, the striking installation becomes at once canopy and stage for baristas to perform their art. 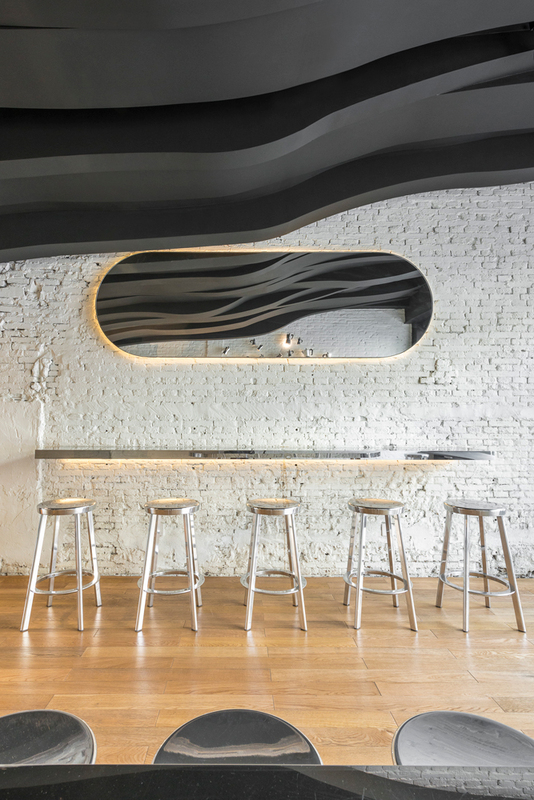 Rich and dark in color, the ceiling’s ‘fumes’ evoke the depth of the drink itself, winding up and beyond the venue’s glass façade. 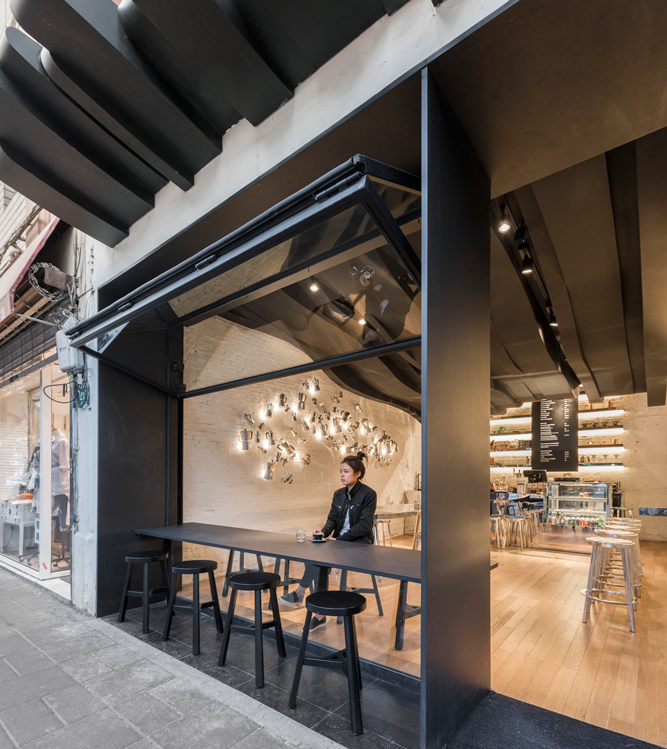 Lending a sense of movement to the entire space, the installation creates a partially covered area for attractive outdoor seating in warmer weather.